SKU: N/A. Categories: Child / Shirt. Tags: beaverton / farm / grey / michigan / orange / shirt / white. This is a locally screened t-shirt made from a quality fabric made to last. 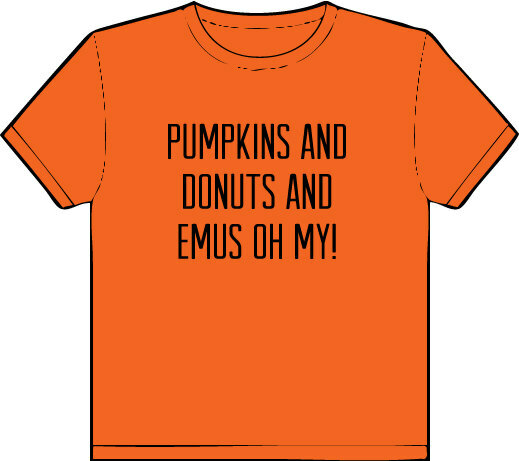 Single color, black silk-screen with the text “Pumpkins and donuts and emus oh my!” across the chest. The orange t-shirt is unisex with child sizing.